One-to-two times per month, I write a blog post on Richmond history and/our tourism on my Richmond Tour Guys website. This month was one that I’ve wanted to write for a long time. Unfortunately, there’s not a lot of research done on him, and I don’t have the time to sift through primary sources in the Library of Virginia due to work obligations during the week. So my biggest, but not sole source for this post was “Richmond: The Story of a City” by Virginius Dabney (totally destined to be a Virginia historian, am I right?). A book that I highly recommend for the history buff. Anyway, here is Richmond’s first mayor. Largely forgotten by history outside of Richmond history buffs, Dr. William Foushee was Richmond’s first Mayor, first citizen, and very much a contemporary of famous founders such as Thomas Jefferson and George Washington and was held in similar high regard. Dr. Foushee was the descendant of French Huguenots (French Protestants who fled France during the Reformation and were given asylum by the Governor of Virginia in the early-17th Century). He grew up in Virginia, but was educated in the Medical Profession at the University of Edinburgh in Scotland. He came back to Richmond to practice. On March 6, 1775, Foushee married Elizabeth Isabella Harmondson in Northampton County, Virginia. They would have 7 children: William Jr., John, Nancy, Margarette, Elizabeth, Charlotte, and Isabella. Which also pretty much covers all of the common names of that era. 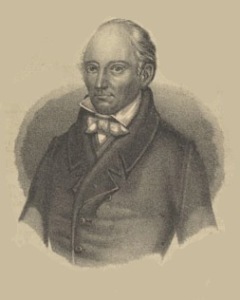 Foushee was very highly regarded in the Medical profession. He became a renowned surgeon during the American Revolutionary War. He was at one time President of the Medical Society of Virginia. He was also a first mover in the newly discovered Smallpox inoculation. In 1788, Henrico County gave him permission to administer it. To prove he rolled with the Revolutionary elite, here is a letter that he wrote to Thomas Jefferson about the vaccine (which he CC’d a Dr. Currie on). His medical expertise also came in handy in a way he may not have envisioned. At the time of the Revolution, the rougher sort of men in Richmond had the practice of growing one finger nail very long and sharpening it to a fine point. With this point they would try to gouge their opponents eyes out or their scrotum sack open. Richmond was a… different place back then. A port city with many brigands and lots of rabble. One day, Foushee was walking around with a paroled British Officer named Thomas Aubrey. Among the “Gentleman” it was not uncommon for the aristocracy to associate with British Officers in a cordial manner, but the commoners were not quite so open. One of these sharp-nailed ruffians decided Foushee was too friendly with the enemy and gouged the future Mayor’s his eye out of socket. With the good Doctor’s eye dangling out of the socket onto his cheek, the ruffian attempted to yank it out, but was tackled by Thomas Aubrey. Foushee quickly put the eye back in. In 1782, Richmond was officially made a City and Foushee was elected as the first Mayor of Richmond from among the 12 Council Members. He also, at one time or another, was a member of the General Assembly, Postmaster, and President of the James River Navigation Company (which built and managed the canal system in Richmond). During the War of 1812 while Postmaster of Virginia, he commanded a company of troops that was raised to defend Norfolk from British attack. Norfolk was razed and the unit never saw action as Richmond was not attacked during the War of 1812. On August 21, 1824, Foushee died in his home. You can see his grave at Shockoe Hill Cemetery on Shockoe Hill in Richmond. This entry was posted in History and tagged Dr. William Foushee, Free Walking Tour of Richmond, Historical Walking Tours, maggy, Matthew A Maggy, matthew maggy, Remarkable Richmonders, Richmond, Richmond Tour Guys, RichmondHistory Tour, Rihmond History, Virginia, Virginia History. Bookmark the permalink.